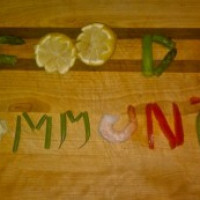 This Thanksgiving the AgChat Foundation has launched foodthanks.com and is asking people to thank those who help to grow and provide our food. 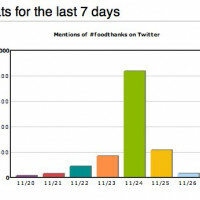 The site offers five simple tips for how to show #foodthanks, which includes things like tweeting with the hashtag #foodthanks, blogging about the topic, and sharing links on the Facebook. 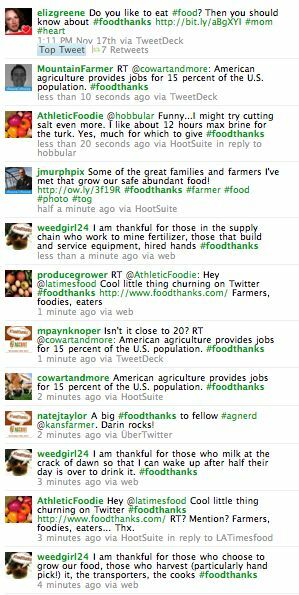 The AgChat Foundation teaches “agvocates” how to use social media tools such Twitter, Facebook, blogs, YouTube, LinkedIn and other social media to engage with the public and tell their stories. Check out agricultural social media expert Michele Payn-Knoper’s two part top 100 food gratitude list (visit here for part two) for some #foodthanks inspiration!